This set of reviews concludes our coverage of the 2009 Barolos in 2013, which focuses on wines that are bottled later than is the norm. My general opinion remains the same as before, which is to say I view the 2009s as uneven across the board. There are some surprises though, many of them in this article. I hope readers will check out the best the vintage has to offer. The finest 2009 Barolos are gorgeous wines to drink while some of the surrounding, more classic vintages age. Readers may want to consult Part I of this report, published in May 2013, for more on the vintage and growing season. Readers might want to take a look at our videos highlighting the 2009 Barolos of Giuseppe Rinaldi, Roberto Voerzio and Aldo Vajra. All of the videos from this year’s La Festa del Barolo are also available online, including clips from our Rare Wine Charity Dinner at Eleven Madison Park and the 2008 Barolo: An Exploration in Terroir seminar. 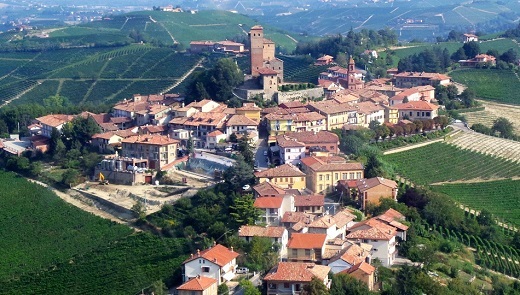 Of course, Piedmont is about much more than Barolo and Barbaresco. Later this week, we will publish a comprehensive look at the Langhe’s every-day wines; Dolcetto, Barbera and Langhe Nebbiolo. That will be followed by reports on Roero and Northern Piedmont later this fall. All of the wines in this article were tasted in August and September 2013. Of the producers I regularly cover, the only major absence is Giuseppe Mascarello & Figli, who bottled later than normal this year. I will report on Mascarello’s 2009s at the first opportunity. Fall means truffles and Nebbiolo. This looks to be one of the best truffle seasons in recent memory. Readers visiting Piedmont will want to check out The Vinous Guide to Eating and Drinking in Piedmont. If a trip to Piedmont isn’t possible, Vinous and Del Posto will host the next best thing on November 22, when I team up with Mario Batali for a multi-course white truffle blow out. Watch Mario and me talk about truffles ahead of the event, plus get tips on how to serve white truffles at home from Mario himself.